For many of us, this particular Kamelot album has been a long time coming. I suspect that quite a few of you felt the same way that I did when considering their 2012 Tommy Karevik-fronted debut Silverthorn —- that it was a difficult album to judge for better or worse considering that it had largely been written before Karevik had joined up. It was known that he had handled the writing of his own vocal melodies and lyrics in Seventh Wonder, and was quite good at it to say the least. Now for a lot of bands, this wouldn’t be a big deal because either the guitarist, or bassist, or keyboardist even would be serving alone as the primary songwriter. Not so with Kamelot, as founding guitarist and songwriter Thomas Youngblood spent over a decade co-writing with Roy Khan —- who in addition to being one of the greatest metal voices of all time, was also gifted with savant-like abilities in vocal melody development and lyric writing. Together they were the second coming and fully realized promise of Chris DeGarmo and Geoff Tate of classic era Queensryche, sharing similarities in their respective styles and deliveries; and in penning masterful prog-metal with crisp, clean, melodic guitars and emotive, soaring vocals with intelligent, thoughtful lyricism. Youngblood and Khan were a pair of songwriters so attuned to each other that they unleashed not just one, but four outright masterworks in continuous succession from The Fourth Legacy thru The Black Halo (a feat that had not been accomplished in melodic metal since Iron Maiden’s 82-88 “Golden Era”). Khan’s departure in 2010 meant not only the loss of the band’s signature voice, but half of their songwriting engine. During the much speculated upon vocalist search, I suspected that Kamelot’s primary candidate requirement would be a singer who had also proven themselves in a songwriting capacity, to help fill that particular aspect of the void left by Khan. Considering that, the field of potential vocalists was reduced greatly, and at the top of my own (and many others’) list of suspects to be given the job was Karevik himself. He was the only logical choice: His tone and timbre was remarkably similar to Khan’s, Youngblood himself had stated a preference for the inflections present in Scandinavian accents, and Karevik had a resume full of songwriting, lyric writing, and vocal melody development. With that in mind, its difficult to understand then why Youngblood and his newly adapted songwriting partners keyboardist Oliver Palotai and producer Sascha Paeth began writing without waiting for their new vocalist, but I would wager it was market forces. A full time band needs income from touring, which meant that the clock was ticking in terms of having to write and record a new album as soon as possible, vocalist or not. It was a gamble that paid off with an album that satisfied those concerns, but I believe failed in the greater context of actually being a good Kamelot album. With Silverthorn, Youngblood, Paeth, and Palotai engaged in a guessing game exercise in songwriting, the same kind faced by Nightwish’s Tuomas Holopainen for their post-Tarja Turunen album Dark Passion Play. Writing songs without knowing the tone and timbre of your future vocalist is an incredibly difficult challenge, one that rarely ensures optimal results. When Karevik finally got to tackle his vocals, he did the best he could with clumsily constructed spacing for bridges and choruses. Rarely did he have enough room to unfurl a properly developed refrain, and the hooks suffered as a result. His vocal melodies were often forced to lay upon riffs that worked against him, resulting in awkward sonic pairings. The entire affair was hammered over with enough adjustments and editing to make it passable and listenable, but it lacked the natural smoothness and melodic flow that normally defined a good Kamelot album. One of the few exceptions was “Song For Jolee”, a stirring ballad that Karevik was able to get involved with in a greater capacity, writing the song around the strength of his vocal melody and a particularly haunting lyric. Alongside the similarly vocal melody-led “Solitaire”, it was a brief demonstration of the dramatic impact that Karevik could make if he was given a ground floor role in the songwriting. It certainly made it clear to me that his second album with the band would be the far more accurate portrait of where the band was in their post-Khan evolution. That open question made Haven the most intriguing new release of 2015 for me, the very definition of a make or break situation that I nervously anticipated. I’ll be honest, I was still nervous even after my initial listen all the way through, but Haven has proven to harbor the trademarks of an expensive, well made perfume: underneath its initial sharp top notes are long lingering, pleasantly fragrant middle and base notes. Now thirty plus listens later, I feel confident about contextualizing its place in the band’s discography, and in deeming it their greatest album since The Black Halo —- a distinction I wouldn’t throw out without careful consideration. It is obviously far more accomplished than Silverthorn, with Karevik’s distinctive input in the songwriting directly translating into songs being written around the vocal melodies, the proper order of things in the Kamelot universe. But perhaps more important than that is just how impactful his expansive vocal range is, urging the band to return to writing in largely major keys, with Karevik technically able to operate (with seeming effortlessness) in higher registers. Khan devotees (of which I consider myself to be) may balk at that statement for what it implies, but its the flip side of what is a rather uncomfortable topic for many Kamelot fans, namely, Khan’s degrading vocal range over the years. A few years ago, before Karevik was even announced as the successor, I wrote something for this blog called The Legacy of Roy Khan, a tribute of sorts as to why he was truly brilliant, and to why his void would be deeply felt by the band. Towards the end of the piece I briefly mentioned Khan’s declining range, but skipped over it perfunctorily, so as not to dwell so much on the very real difficulties he faced as a performer (a great deal of which was documented through live show recordings thrown on YouTube). It simply didn’t seem right to focus on it given the nature of the piece. 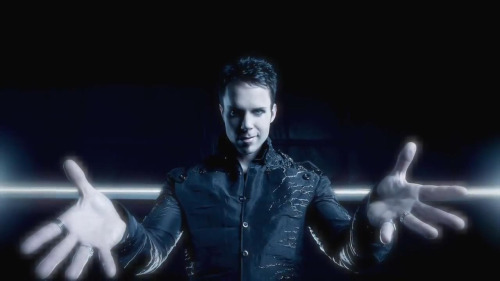 Yet its Karevik’s performance on Haven that drags this shadowy topic back into the light, as well as revealing a larger truth about the band in general —- that Khan’s declining range provoked a fundamental change in Kamelot’s sound and songwriting, a change that became habitual and they’ve yet to fully withdraw from. We can trace back Khan’s lowering vocal range to as early as The Black Halo, where he began to transition away from singing mostly in upper registers to settling into a comfortable mid-range with a few exceptions (“Serenade” and “Moonlight” come to mind immediately as that album’s upper register standouts). On Ghost Opera, this continued in large part, with Khan operating in a slightly lower register, even on a song like “Anthem” that required him to hit a few highs (studio effects on those vocals were noticeable, whether or not they were covering something up is entirely debatable). Where a song like “Up From the Ashes” should have had lead vocals that zoomed upwards through its soaring, arcing chorus, Khan hardly wavered from his mid-range delivery. Instead the band used layers of backing choral vocals to take care of the upper register work, a choir assembled of Gate Studios’ vets Amanda Somerville and both Robert and Cinzia Hunecke Rizzo, frequent choir contributors to Rhapsody, Avantasia, Edguy, etc, and all singers capable of filling in those high notes. Even more noticeable than on the albums was Khan’s live performances beginning on the Ghost Opera tour. I myself attended their September 9th, 2007 Houston concert and despite my giddiness at seeing the band live for the first time, I was surprised to hear them down tuning for older songs in addition to new ones. They avoided included anything in their setlist from The Fourth Legacy, nothing all too surprising by considering its age and the vast amount of songs they had to choose from, but it was very telling in what the band viewed as the easy exclusions. When Poetry For the Poisoned was released in 2010, the common discussion from fans was just how dark the album sounded —- and it wasn’t just something felt in its admittedly depressing lyrics, but in its even more down tuned approach. Guitar tone alone wasn’t simply what was affecting us all, it was that such a change in tone was prompting Youngblood to think about songwriting differently —- heavier, chunkier riffs and rhythms to work better with Khan’s new register, slower tempos better suited to such sonic changes, and Palotai providing suitably darker atmospherics to work as adhesive. 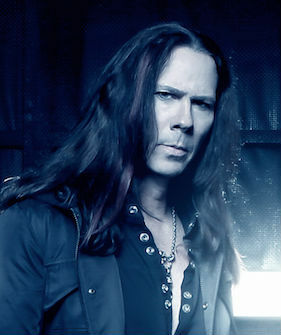 The band as a songwriting unit had downshifted their approach away from their classic symphonic power metal approach of the late nineties / early aughts, and when fans would wish aloud for a return to a “classic” Kamelot sound, they were knowingly or unknowingly yearning for Khan to sing in a higher register again, something that could cause those tempos to pick up the pace once more —- they were hoping to go back in time in other words. There was spectacular work on those last two Khan era albums, by him in particular —- he still sounded great as a singer, and his vocal melodies and lyrics were always on point. But the tour supporting Poetry was the all too visible sign that Khan’s actual voice was deteriorating, and that he was incapable of even mid-ranged performances at times. The damning evidence is still on YouTube for anyone to relive (and I hated doing so for the purposes of pure research), and when he abruptly quit the tour it was hardly surprising despite our initial shock… for everyone who was paying attention, the end was in sight. Both Youngblood and Palotai, as the surviving core of the writing team spent those final five to six Khan era years growing accustomed to the changes in the band’s sound, too accustomed it would seem. When they wrote for Silverthorn the tendency to down tune, rely on chunky riffing, and mid-paced tempos lingered on with a few exceptions. Its unfair to fault them, as the machinations of a creative process are hard to alter immediately, and the human tendency to rely upon developed habits is hard to shake. Nevertheless its one that they will have to, because in Karevik they have a vocalist whose natural register is higher, and who operates in that space with an ease that always seemed to elude Khan. If you’ve heard Karevik in Seventh Wonder, you’ll have heard him deliver vocals that seem to effortlessly dance across the top of major chords, deftly moving with an almost R&B influenced sense of alliteration and cadence —- he’s inherently poppier than Khan, less operatically inclined. 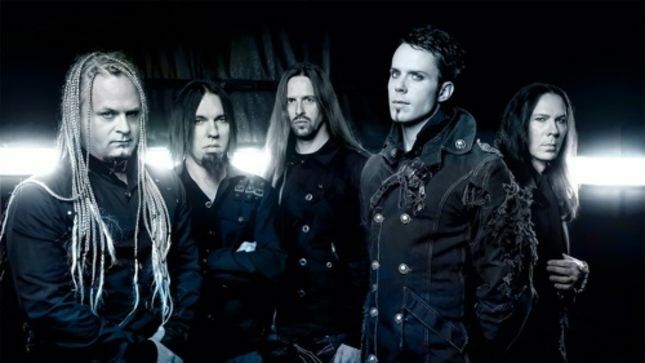 With a vocalist like Karevik, Kamelot can make its way back towards a sound that resembles its classic era, one replete with all the trimmings of their trademark symphonic power metal stylings that many of us have missed so much. The good news is that with a big chunk of the songs off Haven they’re well on their way. The bad news is that this flip side to the legacy of Roy Khan continues to plague a portion of their songwriting, in specific moments hampering the best use of Karevik’s abilities. Consider the not awful but rather clunky “Citizen Zero”, where the sludge-y tempo prevents the verse sections from developing into anything interesting, its down tuned riffs and overly aggressive approach resulting in heaviness that seemed forced and frankly boring. This faux-heaviness disrupts the structure of “Liar Liar (Wasteland Monarchy)”, wedging a bright, uptempo chorus in between two slabs of formless verses composed of floating keyboard atmospherics and meandering, un-melodic riffing. The worst offender might be “Revolution”, as much an example of what not to do in a Kamelot song as there ever has been. No need to comment on the presence of the overused Alissa White-Gluz, whose aggressive vocals are indistinguishable from any other harsh vocalist (male or female), particularly when the biggest problem is the forced faux-heaviness of the guitar riffs. Youngblood is a supreme talent, one of the defining musicians of the genre and someone whose artistic legacy is already secure. He’s better than this quite frankly, and he of all people should know that we listen to his band for the melodies, not the riffs (this isn’t Melechesh!). This is the song that should’ve been left on the cutting room floor, or perhaps been singled out as the Japanese bonus track (more on that later). The last song to suffer from echoes of the past is “My Therapy”, where Karevik’s skillful treatment of the vocal melody (particularly in the chorus) saves the song from relatively lackluster verses fragments set to beds of uninspired riffs. The path towards a future golden era for the band begins with the eternal classic “Fallen Star”, a supreme and glorious a moment that echoes the height of the Khan era in both melody and lyricism. Karevik’s piano accompanied solo intro to the song sets the tone and signals the approach —- that his vocal melodies will serve as the driving force and everything will yield to his will. In the mid-song instrumental bridge, Youngblood’s guitar solo echoes the vocal melody slightly by playing off its motifs, something he is peerless at. Karevik’s lyrics are evocative, with an almost Khan-like air of poetic imagery: “You are my reason to stay / Even if daylight’s a lifetime away / May the kings and the queens of the dawn / Remember my name / As dark as the fallen star”. The vocal melody guiding these words is cascading, rising and falling gently like a sloping hill, its shape infusing the lyrics with its required blend of romance and melancholy. It might be the best overall Kamelot song in a decade, a gem that matches the brilliance of songs from their classic era albums, and perhaps their best album opener ever. Continuing the brilliance is “Insomnia”, an uptempo song built off Palotai’s inventive, swinging keyboard figures and finished by a multi-layered Karevik vocal performance that is simply astounding. On the chorus, he soars above himself, setting his lead vocal underneath waves of his own layered vocal arrangement, apparently fit to serve as his own choir. Those familiar with Karevik’s layering work on Mercy Falls and The Great Escape will feel as if the styles of the two bands are merging here, the multi-layered vocal flurries of Seventh Wonder meeting the dark symphony of Kamelot. And as if to further justify his inclusion in ground level songwriting, consider just how much he improves “Veil of Elysium”, arguably the spiritual successor to Silverthorn’s “Sacrimony (Angel of Afterlife)”. If you hadn’t noticed the similarities between both songs, take a moment to listen to them back to back and notice just how much more developed the song sounds now with Karevik able to expand on the chorus. Rather than being forced to shoehorn lyrics on top of a space reserved for a vocal melody, on “Veil of Elysium” he weaves the vocal melody around the phrasing of his diction, their very consonant structure providing the poetic meter within: “One day I know we will meet again / In the shade of a life to die for”. He also finds the time to serve up a particularly Khan-like piece of simple lyrical beauty, “Now winter has come and I’ll stand in the snow / I don’t feel the cold”, his treatment of the last line at the 1:04 mark being a prime example of his nimbleness as a singer. The gorgeous, Troy Donockley’s pipes-assisted “Under Grey Skies” is a gem of a ballad, built almost entirely off Karevik’s vocal melodies, with help from the welcome Charlotte Wessels (Delain). She’s a breath of fresh air for the band’s choice of female collaborators, possessing a voice that is lighter than Simone Simons and more at home when set atop such cozy, acoustic guitar-plucked balladry. Some may find the lyrics here a little too cloying, but Karevik wisely avoids cliche diction and couches his romantic subtext in a stanza sung by Wessels, giving some respite to anyone who feels uncomfortable about having a guy sing them lines about kisses n’ stuff (if you feel guilty right about now you’re likely one of them). As a duet its a triumph, my favorite parts arriving towards the end when Karevik and Wessels trade off soaring layered vocals, singing under and around one another. Youngblood’s mid-song guitar solo here is note perfect, building off the vocal melody motif and extenuating it to sublime effect. The highlights continue on the second half of the album, with “End of Innocence” proving itself to play along with the unusual coincidence of bands producing great songs under that particular title. I’m most struck by how well Youngblood manages to balance a dose of heavy guitar riffs without overpowering the melodies worked up by Palotai and Karevik. The MVP here might be Palotai, who answers the heaviness of the guitars with jaunty, symphonic keys that usher along a melody that works as a flamboyant counterpoint to successfully balance things out. Once again, Karevik knocks one out of the park with his choice vocal inflections and change-ups on the recurring chorus line, “And why must a hero die young / Not to be gone and forgotten” —- each time he gives it a new flavor. We’re treated to some Middle-Eastern flair in “Beautiful Apocalypse”, a song that took me a few listens to come around to. What sold it was Karevik’s simply stunning transition from gritty and tortured to smooth and sonorous (and back again), best exemplified at the 1:10 to 1:43 mark. Its one of the most dexterous things I’ve ever heard him accomplish. A different kind of Khan influence creeps up on “Here’s to the Fall”, where Karevik sounds so eerily similar to his predecessor (particularly to open the song), that I wonder if Khan didn’t drop by the studio at any point to lay down some vocal fragments. This is of course the ability that won Karevik the job and was more frequently heard on Silverthorn, but here he uses it to great effect until the 3:10 mark, where the Tommy Karevik we’ve been hearing all album long pops up again in his more Seventh Wonder influenced mode. If Khan did drop by the studio, I’ll find out eventually, I don’t know how but I’m still not entirely convinced there wasn’t something sneaky going on (I’m only partially joking)! Normally I’d prefer an acoustic guitar/vocal pairing with keyboard embellishment (think in the vein of “Glory” from The Fourth Legacy) rather than solely keyboards/vocals, but Palotai does a nice job here of creating a moody atmosphere that actually works. I mentioned the Japanese bonus track earlier, one “The Ties That Bind”, a hooky, tuneful yet heavy-riff fueled song with a chorus that doesn’t quite arc fully, yet is infinitely better for the album proper than “Revolution”. If like me you received the expanded edition of the album with a second disc full of alternate renditions and instrumental tracks, you’ll have probably indulged in the piano version of “End of Innocence” and the acoustic guitar version of “Veil of Elysium”. These songs, so uptempo and electric on the album are hushed here, left to operate only on the strength of their defining characteristic: their vocal melodies. Its a further testament to Karevik’s contributions to this album, that his melodies are strong enough to be the actual skeleton of a working song… one can call it practically Khan-esque even. And a final thought on Youngblood himself, who deserves individual praise alongside Palotai and Karevik for trusting his collaborators enough to breathe new life into his band. I’ve always regarded his style as being directly influenced by Chris DeGarmo (among others surely) in that during their respective classic eras they both wrote in crisp, clear melodic lines with razor sharp precision, anchored by a mindset that was unconcerned with any sort of “heavy factor”. The difference was that DeGarmo eventually got off that train and ventured into lighter, jangly, less riff-based directions —- whereas Youngblood found himself having to forcibly get heavier, chunkier, and less melodic as a result. Both of them are tremendously gifted songwriters and guitarists, and in their work one attribute directly correlated with the other. They both operate best when writing and performing in what I call the DeGarmo gold standard, that thoughtful mix of melodic writing filtered through crisp riffing and clear open chord sequences. It may be too far gone for DeGarmo to ever bother returning, but Youngblood can easily find his way back to that standard. The first step is realizing that he now has a vocalist capable of hitting the highs needed to bring Kamelot’s sound back to its classically infused, symphonic metal roots… a return to their primordial musical waters so to speak. They’re halfway there with Haven. Karevik is the savior of the band’s sound, I suspect they’d surely be lost without him. Behind Bruce Dickinson, I can think of no better or more important replacement vocalist in the history of metal. ← Reviews Cluster Blowout! : Releases By Melechesh, Kiske/Somerville, Subterranean Masquerade and More! I had to hold my tongue for a few days after I saw that you were about to post a review. Didn’t want to spoil what was to be a lesson in how to write a review and keep the reader hanging on every “thesaur-ian” syllable. With that being said, In my opinion, I thought this was their best work ever. Yes, I said ever. Without breaking down every track(I’ll leave that to the professional), I can honestly say, we can with all due respect, put the Roy Sætre Khantatat era behind us. (I’ll now duck for the various items hurled in my direction) Seriously, I thought he channeled Roy from when he was at his best, but also brought his own voice to a whole new level for which we didn’t see in Silverthorn. I don’t think I’ve ever heard the vocal effortlessness Tommy had at any range from any male singer in recent memory. The only comparison I can think of, albeit a female, is Sabine Edelsbacher of Edenbridge. The flow of the notes from either just seems so perfect. Not forced. I was devastated that I wasn’t able to see Kamelot when they came through last month. But it will only make me that more determined to take the time to catch them next time they pass through. Even if it’s a couple a hundered mile trip. The King is gone. Long live the successor. Its interesting that Tommy sounded so much more like himself on this album (with the exception of “Here’s to the Fall”) as opposed to on Silverthorn, where it really seemed like the Khan vocal style was in full force. When I hear his little bends and twists in his phrasing on the lyrics on Haven, he’s doing the kind of stuff that he did in Seventh Wonder, and its very un-Khan like. Now everyone will take it for better or worse depending on perspective, but I’m surprised at some reactions I’m seeing online. The comments at the Angry Metal Guy review were simply baffling, even by some of their staff writers and AMG himself. I get the impression that a lot of people there just don’t pay that much attention to the band…. how can anyone not hear that Haven is infinitely more accomplished than Silverthorn. Again its all opinion but I just can’t fathom that take. I’m also stunned by anyone who cites Ghost Opera as Kamelot’s best work, clearly they just haven’t listened to all the other albums right? Its a talented, and popular band that can drum up such disparate opinions. As for your take on Haven being the best ever, that’s a mighty claim but I can understand it. I said it was their best since The Black Halo, but I’ll be floored if they can ever do anything to match the Epica/The Black Halo albums. Maybe in a few more albums. Holy crap… Ghost Opera their “best”? Those guys are ridiculously out of touch. Makes me wonder if they ever really listened to Black Halo, Epica, Karma, and The Fourth Legacy. As far as people liking darker, harder-rocking metal… it’s still hard to beat Halo. I mean when you start out with Mephisto… you KNOW it’s going to rock. Your opinion sounded just like it was caming from some second voice in my mind. I felt that I could had writte most parts of this review, just because it matched my whole view on Haven (the album, not the song). For me, the album was saved by a few songs, wich is not as perfect as some older Kamelot songs but showed that they can still deliver some wonderful melodies. “Falling Star”, “Insomnia”, “End of Innocence” and “Veil of Elysium” were my choices in example. Wow I’d definitely rank Silverthorn above Eternity…. in fact those first three Kamelot albums, (yes Siege Perilous included) were pretty rough. Thanks for the kind words, and glad you liked the album! I have some kind of love and hate relationship with “Dominion”, songs like “Heaven” (wich is my ringtone right now) and “Birth of a Hero” made the “replay value” of the album for me. “Silverthorn” doesn’t have a single song that I catch myself singing along or something like that. In fact, Silverthorn is one of the few Kamelot’s albums that I can’t enjoy at all (the other one being “Eternity”). The rest of the albums I enjoy in some major or minor degree. Yeah I feel like those three albums in particular can be shuffled around in any order from 1-3 and you’d still make a convincing argument. I do sometimes give the edge to Epica, because its the start of the conceptual two parter with The Black Halo and contained some of the band’s most theatrical or cinematic songs (ie “Lost and Damned”, “Wander”, “On the Coldest Winter Night”). The Black Halo was theatrical in parts, but much more metaphysical in its themes. And The Fourth Legacy…. well, it could be number one based on the incredible quality if each individual song, but the other twos Faustian concept just beats out the Arthurian theme for me. Still, The Fourth Legacy…. Kamelot’s contribution to power metal’s golden year 1999. What an album. Guys, come on… what changed after your blog, the legacy of Roy Khan? It was full of feelings that we all had and it was so well written! But this, this hurts. He was the best singer ever, the best songwriter ever etc… and now not anymore? Be honest, Karevik can never fill Roy’s shoes, ever. Oh nothing changed regarding my opinion of Roy Khan, there will be no white washing of his brilliance by me. But its undeniable that he had deteriorating vocal capabilities in his final years in the band, and that caused the band to undertake some tangible, very audible changes in how they wrote songs. Tommy Karevik has a higher natural range right now in 2015 than Roy Khan during his final few years with the band…. it makes sense that the band can now shift away from the downtuned, modern metal approach they had to embrace due to Khan’s difficulties. I wasn’t blaming Khan for his troubles, just making the observation that they had an impact on the band’s songwriting that reverberated even into the Karevik era up through this new album Haven. Trust me I believe that there’s no one that can truly replace what Khan brought to the band, but Karevik is a vocalist with the technical talent (range) to pull them back towards their higher register, uptempo power metal roots (which is what many of us have been craving for awhile now). He’s also the perfect vocalist for them at this time…. but if I could have a time machine and go back to get 1999-2005 era Roy Khan? You bet I’d do it in a heartbeat! Thanks for your explanation 😉 I still miss Roy like crazy, since he left, music and life has lost its glow. Even I being a christian myself, I found very sad that Khan left Kamelot. To be entirely honest, for me the whole band was dead after he left. “Silverthorn” confirmed that for me, and “Haven” now sounds like a reborn. Not that the band will be as it was in khan’s Era, but now I believe they can still deliver a good power metal album (wich is enough for me). There is no way someone can match that! That is a gem of an example of Khan’s abilities as a lyricist, one of my favorite lyrics of his. Guy was downright poetic. Tommy is a really good lyricist though, with a different flavor for sure but I appreciate that he puts a lot of thought and effort behind creating well written lyrics with interesting diction and word play. Kamelot deserved no less after Khan and I think he knows that. His stuff in Seventh Wonder can be really interesting at times as well, bucking cliches in favor of more nuance and subtext. I can’t get these out of my head. Oh don’t get me started, I can throw out great examples of Roy Khan lyrics all day long! Always a pleasure to hear such detailed analysis! Thanks! And yeah, its strange that its the only moment on the album where he REALLY sounds like Khan. Unlike a lot of reviews out there that seem content to generalize his vocals to sound exactly like Khan all across the board, I thought Tommy really nailed down his own voice on the majority of Haven. In the Oliver Palotai Faceculture interview he mentions that he was really impressed with Tommy’s vocal treatment for “Here Comes the Fall” —- hmm, I wonder if its because he was getting flashbacks to some happy memories of the Roy Khan era? Like Oliver misses his buddy or something… awww (nope, stop it!). Well, this striking resemblance concerns the very first vocal lines most of all, like you said, so maybe Oliver was talking about the chorus, which is pretty well-performed… But yeah, that’s funny to imagine things like that 😛 Maybe they haven’t even realized that Khan’s spirit was in Tommy’s body at that specific moment, haha ! So far, I remain mostly unmoved by Haven. It didn’t grab me like Halo, Epica, and Karma first did. Much like Todd LaTorre is filling a fallen Geoff Tate’s shoes in a magnificent way (in terms of his covers of the classic QR catalog)… Tommy is the perfect replacement for Roy. But the fact is, neither band possesses the magic that they once did. In fact, bring back Tate/DeGarmo to QR and Kahn to Kamelot (all magically returned to their prime)… and I submit that those bands still would be a shadow of their former selves. A band’s magical era is like surfing an awesome wave — you can ride it for a long time, but eventually the wave must come to an end. Times change. People change. Bring back a prime Tarja to Nightwish and they’re not the same as they once were. Rush isn’t the juggernaut that they were with 2112 and Moving Pictures. Sadly… time waits for no one. Having spewed all of that drivel… I have to say that I have TOTALLY loved the work that Iron Maiden has done from Brave New World through Final Frontier. These new albums are magical for me (just as Piece of Mind was when it was released). So it gives me hope that at least one band still rocks HARD. Which means that these other bands always have the opportunity to release a new album that brings back the magic. And I’ll keep listening to Haven in hopes that I really “get it” at some point. Yeah I hope you give it another shot down the road —- I mean if its not sinking in right now I wouldn’t force the issue. Sometimes things open up a few months or even a year from when you first listened to it, happens to me all the time and makes me look downright foolish. I completely agree with you about Iron Maiden and Brave New World and onwards, some of their most inspiring and moving songs are to be found on those records. I agree in part about the wave theory in regards to bands, but if you take Maiden for example, they effectively found two periods like that, in the eights and the aughts. And for my own part I feel that Nightwish got musically more interesting on Imaginaerum, their second album with Anette Olzon (and I contend, their best ever). I have high hopes for that new Queensryche album, the self-titled was okay, a step in the right direction. After years of Geoff Tate’s reckless treatment of their legacy, they could only go up. Here’s hoping they continue to. I will defintely give it more chances, and hope that I do get it. Maiden have grabbed a second wave for sure. They are killin it, and Dickinson is my favorite front man. Partly because the guy is just so intense and larger than life, not to mention that he’s into everything!. I’m a huge aviation fan and inactive private pilot. Ed Force One is the coolest, most awesome band transport ever. I do dig parts of QR’s first album with LaTorre. And I was blown away when I saw him do the entire “Warning” album live two summers ago. He was nailing Goeff’s stuff, when Geoff hasn’t been able to.do that for many years. I’ll keep my full opinion of Tate to myself. Suffice it to say that had I been in the band when he went off and spot on me or taken a swing at me… he’d have been wheeled out of the venue in a stretcher. I got to see LaTorre live with the band about a year ago (or was it two? ), and his performance that night might have been the best live vocal performance I’ve ever heard by anyone, ever. He was that freaking great! Same here! I saw him in Sheridan, Wyoming on a rainy, cool summer night outdoors. I’d long since given-up on Ryche, but a friend had some free tix and invited me to the show with him (if I’d drive the 120 miles). So we went and I was just blown-away the entire night. For him to sing all of the songs from The Warning and just NAIL it all night long STILL blows my mind. Reminds me of that old Japanese live VHS of The Warning tour where Geoff was nailing it all night. LaTorre is the real deal, and [unlike Geoff], he’s a humble, gracious person. I just picked up my “special edition” Haven at the post office today, and I haven’t even unwrapped it yet. I enjoyed your review and will probably agree with most of your points. I really relished Silverthorn, but I was so ecstatic that Tommy was the new singer, I jubilantly embraced that album. “Haven” promises to be an even grander experience. I’ll be sharing your review on Facebook. Thanks! Can’t wait to hear what you think of the album! Beautiful analysis and very informative. I’ve been following your Kamelot related posts since I stumbled on the “Legacy of Roy Khan” and you’ve actually helped me “transition” from the old Kamelot to the new one. Your observation regarding Khan’s voice and its effect on the band’s songwriting is very illustrative and I think its also very important to everyone who felt betrayed or abandoned by his “sudden departure”. I mentioned once long ago in a comment to your other post that he has probably announced his departure from music (at least it sounded that way to my ears and the feeling is even stronger now) with “Epilogue” and his verse about winter and death. I can intellectualize all I want but I cannot really empathize with the degradation and inevitable loss of one’s gift taking place at an alarming rate before one’s very eyes. I’m guessing painters going blind, or football players with back or neck injuries can comprehend the pain he must have felt at being unable to reach his high notes, then mid notes and so on… It is probably horrifying. While I was angry at first when he left, I think there really was no other option and certainly no easy one at that. I’m glad he’s happy and if he did in fact drop by the studio to add his 2 cents it would be terrific to know that, at least that we’d get the feeling they didn’t part ways resenting each other. I’m don’t have the knowledge to recognize Karevik’s level of skill but I can tell that they really do sound like they did in their prime. I can only hope that their future albums, maybe 2nd or 3rd from now, will reach the level of perfection of Epica/Black Halo. I hope they go down the concept album route again.. another metal opera might be just what they need to prove to everyone (and themselves) that the new Kamelot can rival the old Kamelot without diminishing either one. I’d love for someone, perhaps a Norwegian journalist, to do an interview with Roy regarding his current status and what his thoughts on Kamelot are now. It’d be interesting to get his perspective just for its own sake. I’ll understand if he doesn’t want to perform anymore, but I hope he speaks out one day. If Thomas Youngblood is to be believed, and I’ve no reason not to take him at his word, he and Roy still get along and have communicated since he left the band. I assume they’ll have to because of business reasons in the future as well. Here’s wishful thinking: Khan comes out to check out the band’s show when they play in Oslo (he doesn’t have to join Tommy on stage, just be there at the concert to show support). Also regarding the concept album thing, although its so comparatively weak when judged against Epica/The Black Halo —- Silverthorn actually was a concept album. So you got your wish already! I guess I’m so used to expecting larger than life from Kamelot. And yes, I wholeheartedly agree that Roy should do an interview with someone. Regarding Oslo.. I can’t imagine them not getting in touch with Roy when they play there since he lives so close by. Haven is certainly Kamelot’s best output since TBH. The album just flows naturally throughout and does not “wear out” after many listens, like Silverthorn did. Regarding individual songs: I found “End of Innocence” weak overall (the word “atrocious” I used in my review is unfair though). The main point against it are its lyrics. The delivery and musical composition is great and is best demonstrated at the bonus disk. Especially the part you cite feels like it’s coming directly from Mercy Falls, which is a good thing. Karevik’s strong point is indeed the way he handles the melodic veil of lyricism. The lyrics themselves leave a lot to be desired though. The lead single is a prime example of this imo and is yet again elevated by the musicianship. “Citizen Zero” could be so much more but it feels so static musically, like it’s stuck in the “Silverthorn” era. 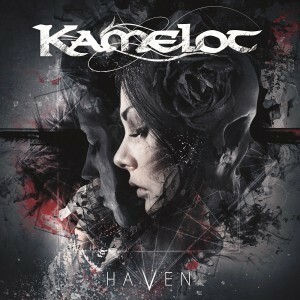 “Beautiful Apocalypse”, “Liar, Liar” and “Revolution” feel musically disjointed at first listens (Kamelot is a band known for tidy song structures and instrumentation after all), but atypical, does not equal bad in my book. I find them really rewarding and the main reason I want to stay throughout the album every time. I will also have to give the Japanese bonus track a listen. “Silverthorn” had 3 bonus tracks, are there any others apart “The Ties That Bind” for Haven? Regarding post 2006 Khan: I am not ashamed to admit that I may have watched every live video there is on yt at least once. Your assessment is mostly right, but you don’t take into account his latest performances. Khan in 2010 sounded a lot like the 2005 Khan. Any video from this tour (till April/May 2010 iirc) showcases that. Anyway, it’s always a pleasure to read your blog. Hope my comment was not too tiring. P.S. I haven’t commented on the Khan piece, but I really want to applaud you for the Tate/DeGarmo parallel. Sorry I missed your comment earlier…. regarding Khan’s vocal performances in 2010, I think I need to see the clips that you saw because everything I saw from the Poetry tour was Khan in relatively rough shape. I can agree that he seemed to have weaker performances on the Ghost Opera tour where he was still trying to hit some heights, but overall I was hearing his vocal deterioration on those 2010 shows. He WAS singing lower than ever, so that’s something to consider for both of us. I’ll go back and take a look. I will say that when the video of him singing at a friends wedding in Norway surfaced he sounded pretty great, although it was just an acoustic performance of Sailorman’s Hymn, and ditto for his church related videos where he sang some contemporary Christian songs. I wouldn’t think its impossible for his vocals to recover after some extended periods of rest. Here’s hoping then he could maybe fill in on a Stryper tour. I be snarky of course. I’ve been waiting and hoping to see you post something on Haven, and I am glad to find you have! I really wanted to like Haven. But, I’m afraid I don’t find it as great as many other people seem to believe it to be. Since Silverthorn came out I have made a very strong effort to try and find appreciation for the post-Khan sound of the band, appreciation for Tommy Karevik’s vocals, and I am still struggling with it. I don’t dislike Tommy, nor do I think he is in any way untalented. I actually feel bad for him sometimes as he had some legendary shoes to fill and will always face the comparisons from someone, somewhere. I once had a job where I was extremely well respected for my ability/skills, my manner in performing my duties, and looking back I feel bad for my replacement as people thought he would be a clone of me and do everything I did the same way I would do it. Unfortunately for the people who wanted my replacement to be me – he was not and his own good performances got lost in being compared to me – that is how I see Tommy a lot of times. I found Haven to be pretty unremarkable as an album. There are definitely some moments I like. I actually like Fallen Star and Veil of Elysium very much. But the rest of the album not so much. I cannot say there are not a lot of seriously good performances by everyone as they are all obviously very accomplished, talented, and damn good at what they do – hell, they are professionals for god’s sake. I was not let down in that way at all. An example of one of my problems with the album was a feeling of recycling. Some of the lyrics seem to have a high level of similarity to other Kamelot songs. Long ago you mentioned Tobias Sammet’s vocal crutches of certain words or phrases such as ‘Babylon’, and ‘belfry’ as I recall. ‘Under Grey Skies’ is a particularly good example of what stuck out to me: The use of ‘call me a fool’, the inclusion of ‘prosperity’, and being a ballad it struck me as having ‘Sammet-syndrome’ for the seeming recycled lyrical ideas in the song. Also the theme of ‘sky’, ‘moon’, ‘cloud’ are very similar veined to me. The talk of Tommy Karevik’s vocals on “Here’s to the fall” sounding so much like Roy, I’m not going to agree or disagree as for the life of me I can barely even remember the song despite having listened to it numerous times. I’ll go back and give the song another listen and try and see if I think Tommy sounds like Roy or not just out of curiosity. But, the fact that I can’t even remember the song, except I remember the “here’s to the fall” lyric, is saddening and is a symptom of whatever the underlying problem I have with this album is – it just doesn’t hit home at all for me and I was very disappointed. I found Haven to be very un-memorable as alluded to above. I’ve listened to it numerous times and I still can’t even recall what some of the songs sound like – there is a serious lack of memorable moments for me on most of the songs. Tommy unfortunately seems to me as the singer who can hit all the notes, but I still have trouble connecting with his voice. It far too often comes across as being technically correct but it just feels like something is not quite there…tough to explain but it is NOT from me not wanting to like his vocal performances. I think he is infinitely more talented than the vast majority of vocalists active today, and what’s better is he does not come across like a D-bag. I had planned to see Kamelot in Orlando tomorrow night with my wife, but after seeing the set lists they’ve been playing, and my lack of enjoyment of Haven, I decided I’ll take a pass and do something more productive with my time. I hate saying that, but I’m not interested in what they are doing on this tour. I hope the next one is better. In their run-up to the Orlando show tomorrow night, I counted how many shows and days there were in the month of May prior to and including the Orlando show. I think I counted 18 shows in 23 days and all I could think was ‘How long can Tommy do that before he too has vocal problems?’. While I know Tommy is younger than Roy, how will his voice hold up over time and that type of touring schedule? I fear they will overwork his voice and wear him out if that stretch is any indication of their touring schedule. I no longer wonder how come Roy’s voice sustained so much damage and degradation of tone and range. I too, would love to hear/read a new interview with Roy about what his thoughts are, what he’s really doing these days. As you’ve alluded to in the past, Roy has a great ability to keep a low profile regarding his personal life and he has continued to to stay out of the spotlight, which is probably not the easiest thing to do for someone so well known and distinctive. Something I have wondered regarding his status since he left was if he had to agree to essentially a non-compete to be relieved of his contractual obligations and therefore cannot be in the industry for a certain amount of time even if he wanted to be. As time goes on I think that is less likely since most likely if there was something like that it would have expired by now. Please keep up the good work and thoughtful commentary! I only listen to a few songs, mostly the “hits” on the album that remind me of old Kamelot. For me personally that’s a problem because I only seem to have gotten attached to songs that sound like echoes of Roy Khan whereas I wanted to like the entire album. I’m not there yet and I doubt I ever will be. I had the same problem with Silverthorn. I only ever play 2 or 3 songs from it when I can listen to their old albums without skipping a song. I’m right there with you, Robert. I have a couple of songs I enjoy but the rest of them just don’t do it for me at all. I know I’m picky, but I’m not going to apologize to anyone for having preferences – we all have them. 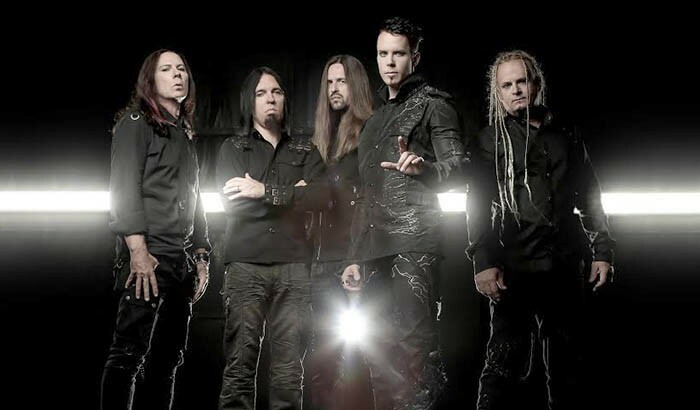 Although I would never want my comments to be taken as somehow insulting to Kamelot, or in particular Tommy Karevik. I have the utmost in respect for them and their abilities. I can sit in listen to any of the Khan albums and just get lost in the sheer enjoyment. My wife loves Roy’s voice as well and her normal musical preferences are quite a bit different than my own, and we both have agreed that it isn’t just the voice, but the quality of the song writing in general that is noticeably different now. I totally feel the same as well. Roy (in his prime) seems to have been that special “magical fairy dust” that really made Kamelot shine (like DeGarmo with Ryche). And I just haven’t heard it since. Doesn’t mean that I don’t like what Tommy’s done. It’s just not the same band that I fell for head-over-heels like I did when I first heard them in 2004 or 2005. I also kind of feel the same way about Dream Theater with Kevin Moore. They really weren’t the same melodic band after he left. I used to love Dream Theater. I hadn’t made any determinations regarding changes involved with or without Kevin Moore, but I’m curious now. These days I’m not enjoying Dream Theater with Mike Mangini. To me he is NOT a great drummer and his style weakens the band’s sound. For my preferences he sounds like a decent studio musician, nothing more. As someone who has played piano/keyboard for years at a high level,I love the technical ability of Jordan Rudess, but I don’t care for what his style has morphed into. I view him as the Steve Vai of keyboard – great technical ability underneath it, but what he performs is almost skittish and nonsensical without great musicianship. First off thank you for the nice comments! I went back and listened to “Under Grey Skies” and scanned through the album lyrics as a whole and while I can understand what you’re getting at, I generally think that Tommy did a pretty good job of keeping things diverse (yet firmly within the Kamelot mold). He’s quite clearly a much better and broader lyricist than Tobias Sammet, whose reliance on hot-words tends to underscore his English as a second language upbringing. In Sweden, where English is taught from the beginning of primary school and upwards (according to sources I looked at, any Swede can feel free to correct me!) Karevik seems to have had enough of a well rounded education in the language to express himself in a myriad of ways. Consider his lyrics in Seventh Wonder for example, which are far less tied to the image, style, and motif that Kamelot work in. I wonder if that’s actually what you’re really reacting to, those specific Kamelot-ian lyrical hot keys that Karevik touches upon when he uses terms like “Prosperity”, or “Call Me a Fool” —- both terms and phrases that Khan used during his time in Kamelot (both during the song “House on a Hill” in fact). Kamelot has over the years established a certain artistic modus operandi or pervasive style that permeates their music from album to album. Some people call it gothic, I don’t tend to agree, but whatever its called it does tend to keep the lyrical perspective limited to a particular palette. I couldn’t envision a Kamelot song including references to something that seemed out of character, such as I dunno, twitter or facebook, or Michael Jackson, or what have you. So when a word like prosperity is used, not it only is it done because its a three syllable term which makes it a good choice for bending a melody around, its done because there might not be a better alternative. Whats more pressing is does it actually make sense in context of the lyrics, that its not just an accumulation of nonsensical phrases (which more bands tend to pass off as lyrics than I ever wanted to imagine). Haven’ isn’t a perfect album to me, but I do feel its great in that to me more than half of its songs were touching upon that cornerstone of what makes Kamelot so distinctive. That and they were extremely well written, beautifully melodic, smooth (unlike the clunky Silverthorn) and hooky in appropriate amounts. There are missteps on the album for sure, but believe it or not I didn’t find the lyrics to be the culprit, the errors were with Youngblood and Palotai. I appreciate the comments, but I do have a different opinion on the lyrical content. Without a doubt I can accept the idea that Kamelot lyrics may move in certain veins due to the way they approach music, and some of what you mention how they aren’t going to write a song featuring some current even. I do agree that they are not going to be putting forth the nonsensical phrases as lyrics. I hate when bands do that as I think it is just lazy. I still remain unmoved about what I consider to be a lot of duplicative concepts and lyrical content between Haven and past Kamelot albums, and I will never like that. I see a high level of similarity. I think if Tommy Karevik was left alone to do the lyrics pretty much by himself as he saw fit we’d get something a lot more cohesive. To me Haven has the fingerprints of someone trying to recapture the past and they didn’t do a good job lyrically, nor did they even pull from the best of the past in doing so. Despite us feeling a somewhat differently on this particular issue, I love your commentary/insight and the fact your comments actually get us, your readers, to think about it beyond just the superficial. Very impressive! I don’t know what you do outside of your writing for themetalpigeon.com but you have all the tools needed to thrive as a writer. SR, I think you’re onto something here. In line with my previous post, I believe some of their songs to have been “inspired” by earlier songs. I think there’s no denying that Here’s to the Fall is Abandoned 2.0. Citizen Zero would be March of Mephisto (then again, ever since the Black Halo Kamelot seems to have made it their staple to include a marching song on every album), Insomnia = Angel of Afterlife = Center of the Universe, Under Grey Skies = The Haunting and so on. Probably why I like mostly those that remind me of their other hits. It is certainly legitimate for a band to draw on its catalog for inspiration. Metallica failed miserably with St. Anger and then they produce Death Magnetic in which every song is a copy of a previous one from their glory days. Unfortunately, Metallica seems to have settled for a business model that relies on endless touring to milk the fanbase yearning for their past glory. I’m not saying Kamelot is doing the same, but they stand, IMO, at the crossroad. They can climb back up to originality they had before Ghost Opera or they can try to maintain a link to the past that the fan base knows and enjoys and which might fall within a comfort zone. The OP once said somewhere (I think it was in Legacy of Roy Khan) that some song writers use certain words as crutches (belfry or Babylon in Sammet’s case). Cound it be that Kamelot’s crutch is not words, but song types: marching song, duet, abandoned type ballad, uplifting speedsong… ? It’s funny, I did not really care for the two pre-release songs when I first heard them, though they did both grow on me once I heard the full album. Honestly, I like this album but really preferred the darker tone of Silverthorn. In some ways this album does seem more complete and I do like Tommy much better vocally on Haven. My favorite songs by far are Citizen Zero and My Therapy which you noted as what you considered the worst songs on the album…that kind of surprised me honestly. The only song that really doesn’t work for me is Under Grey Skies – I really have a hard time not skipping it every time. I find it trite, boring and way too saccharin. It just really gets on my nerves…it is playing right now as I writ this. All that said with the exception of Under Grey Skies, I consider this album a great success. As for trying to decide whether I prefer Silverthorn or Haven – that is tough as I love the darkness of Silverthorn but in Haven Kamelot seems more cohesive and Tommy’s vocal abilities are more evident. Still I think I will continue to reach for Silverthorn first. Still, I don’t see them approaching the past glory of Karma, The Black Halo and Epica any time soon but there is hope! Also, I must have missed the comment about Ghost Opera on AMG – that is by far their worst album in my opinion. Wow, very interesting —- dunno what to say except its great that everyone’s hearing something different I suppose! Ghost Opera is a shaky album, but their worst? Gotta disagree there. I know everyone seems to dislike Poetry but it was actually one that grew on me. There really is no Kamelot album with either Khan or Karevik that I dislike just ones I play a bit less often. I suspect Haven will grow even more on me over time. It’s really heartbreaking to read the story of Khan loosing his ability to perform. What could have happened? Was he a smoker? Normally a man reaching his 40′ does not suffer significant loss of singing voice, especially a singer that did not predominantly perform in a extreme or abrasive style. And even the natural degradation of voice with age does not completely make it impossible to sing – it’s mostly an art of interpretation, not ‘raw range’ anyway. It really makes me think that psychological issues were the underlying cause here. but maybe we’ll never know. Whenever I watch the One Cold Winter’s Night DVD I am just blown away by Kahn’s performance. There were a few parts in there that he struggled to hit the highs… but he was just awesome. Things must’ve gone downhill for him. quick after that. the first two times before singing it like the studio version (in a high register) the third time there? Seems he was already adapting considerably, also in Nights of Arabia. I’ve heard before that Khan smoked, not 100% on that and wouldn’t want to besmirch him if it wasn’t true. We all know what smoking did to Geoff Tate’s vocals. Ouch. The one explanation I’ve heard is from a guy I know who has sung in bands for awhile, who told me that Khan was always a deeper register guy, that he wasn’t meant to hit the highs he was hitting during his Conception years and those early Kamelot albums. Think about just how insane a song like “The Fourth Legacy” is, or throw out any song from that album in fact, or from Karma! That combined with years and years of touring —- he was pushing his voice to go places it wasn’t meant to go and then going out on the road for months at a time. He lasted a long, long time all things considered (so many of us forget his time in Conception). No he just forced his voice too hard. Not that much of a mystery. You can hear it in his voice on the One Cold Winter’s Night DVD and in some interviews where is speaking voice is also suffering. Its not surprising and certainly not rare inthe world of metal which is known for vocal acrobatics and some of the most bombastic and epic performances in music. Couple that with an increase in popularity around the time of Black Halo and its really not even remotely surprising. I dont think he was a smoker or really did/does any drugs. He’s a pretty pious Christian. He also said on the DVD he didnt even drink on tour. He just strained his voice too much for too long. I agree. It just seems like the near-endless touring caught up with him. And instead of backing down, he gave 200% of himself, and probably hurt his vocal cords even more in the process. That said, there are some amazing performances in 2010 that I’ve seen videos of where it seems that he is almost back to 100%. Yeah I think youre completely right. He still sings. I dont know if he writes or anything, but he sings at his church and has done a wedding, so Im glad he’s still doing his thing, without hurting himself. While the Khan era will always be my favourite, I think Karevik has the skill to really shine, especially when he becomes more comfortable using his own voice and registers and not doing that creepy vocal silhouette of Khan’s. We can’t put the Khan era behind us until Tommy becomes more comfortable, though you can hear his own voice starting to shine through on the new album. I’ll hold out hope that they can do something extra exciting in time. All in all I didnt dislike Haven, though I think you were a little harsh about Citizen Zero, its a pretty catchy beat. Id also like to see Kamelot do a release of Tommy doing some vocal covers of Fourth Legacy tbh. Just to hear the total range of his voice. Yeah I keep hearing people praising Citizen Zero, I’ll keep giving it a shot but I still think there’s a clear divide between what works on the album and what didn’t —- the reasons behind both are pretty much built into the songwriting decisions. Oh yeah youre totally right. For me Citizen Zero is just really catchy. Its got a poppy sort of hook that sounds a little more sinister than its bubble gum counterparts. Its a decent jam in that respect. 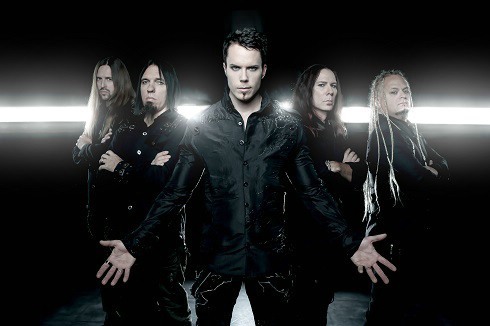 Though I think Kamelot is still struggling being their own without Khan now and its a shame because Thomas Youngblood still has a lot of life in him and could make something a little loftier than Haven. While I disagree with you on “Citizen Zero” and “Liar Liar” (those are actually two of my favorites! ), I think the rest of this review is absolutely spot on. They haven’t done an album this good in a long time. I’d say it’s better than the three before it (though I do enjoy them). It doesn’t top “The Black Halo”, but few albums do – it’s my favorite power metal album for a reason. Also, I just found your blog yesterday and I’ve been combing through it. Love it! Keep up the good work! Thanks! And yeah I do agree that its their best since The Black Halo. I’m glad that I did not read your rewiev a few weeks back mostly becuse I would have gotten angry. 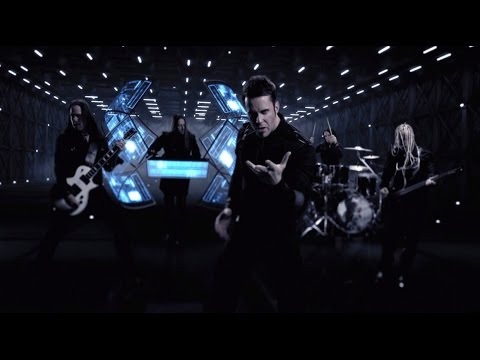 I’m one of those Kamelot fans who were somthing like ‘let me hate you for a while” because he left and because they were daring to go on without Khan; however, looking back, now I realise that his voice was indeed declining. I’m glad now that he stopped singing seeing as it was quite obvious he was suffering. Also I have to say that Karevik’s voice was the best choice for the band. Regarding the album, at first I hated it; I still do sometimes but not because it’s not good…in fact it’s great, but to my ears it sounds so polished that I get the feeling at times, that they welll…polished the emotion out of the music. Techincally it’s a dream, emotionally, for me at least it leaves a bit to be desired. That was the case when I first listened to this album. I’ll admit, though, that after a few spins, it grew on me. Now I thoroughly enjoy the album, the song ‘Here’s to the fall’ beeing the best, for me. I still can’t say that it’s the best album Kamelot’s made, I’m not even going to admit that it’s one of their best :)) (I’m a ‘Karma’ kind of girl after all) but I’m getting there. I like Karevik’s voice and I think there a lot more he can give to the band. I for one, believe that he should sing in his own way and try to avoid doing that “Khan sneaked into the studio and recorded this part of the song” thing, I also believe they need more time to get used to one another (the band and Karevik, I mean). Yeah , I’ve been there before with certain bands, and understand the conflict. Glad you’re giving it a shot and enjoying it in some way. Karevik will grow on you, particularly if you can get into him with his work in Seventh Wonder. I have found, that I think Tommy is actually one hell of a performer….but(and there always is one), I like him singing ‘his’ songs, and I don’t find I enjoy him singing songs from the Roy era. To me, no one quite does the Roy era songs justice except Roy himself. But, in all sincerity, I am liking both Silverthorn and Haven a lot more than I used to – but I have trouble reconciling them as ‘Kamelot’. So, I’ve made progress and evolved in my views of the two Tommy fronted albums. I still don’t like everything they are doing, and an improvement in song writing would be most welcome – but Tommy delivers whatever he is asked to do. I still find some of the songs to be stylistically awkward and not very polished for such accomplished musicians, but I’m willing to overlook that to the best of my ability. Tommy has done an admirable job and has been held to immense scrutiny by many, including myself, but he’s doing a good job in a tough spot. I still doing like hearing him perform classic Kamelot songs, but there really isn’t anyone out there that could sing them the way I would like to hear them except for Roy himself, and I can’t hold that against Tommy. I’m not sure where I go from here about liking Tommy’s performances but still having difficulty accepting these albums as Kamelot as it doesn’t feel like Kamelot to me without Roy. I just hope the touring schedules doesn’t wear Tommy’s voice out.